­This article is written by M. Wesam Al Asali. He is an architect, a PhD student at the Centre of Natural Material Innovation at the University of Cambridge, and the founder of IW-lab in Damascus. 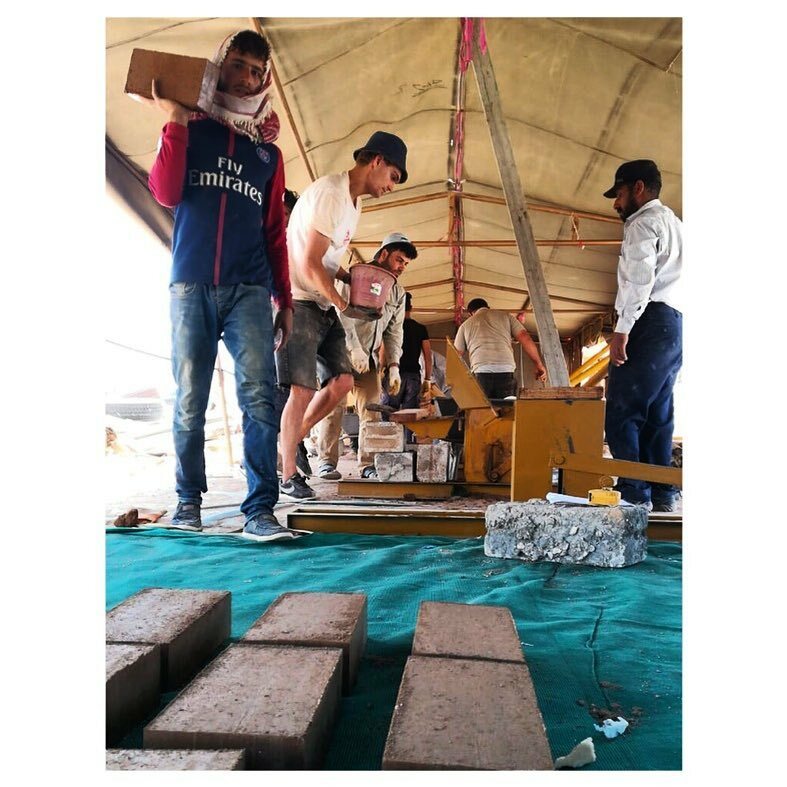 As one of EAHR’s consultants, Wesam leads the structural design, materials, and training of tile-vaulting in the Azraq School Project in Jordan. Construction activities are temporary windows to the knowledge that materialises the built environment around us. A construction site is an opportunity for knowledge exchange, transfer, and adaptation to the site-specific conditions. 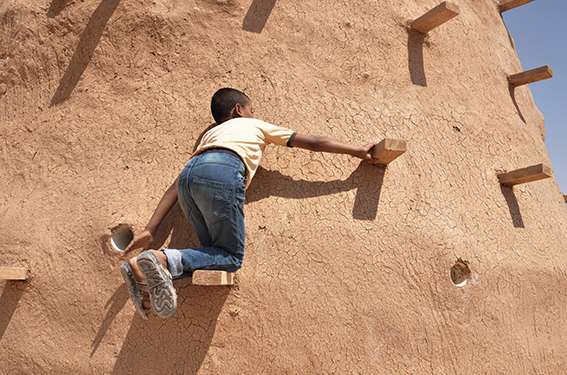 Through transparent and open construction activity, building skills travel to new places, and new builders emerge. 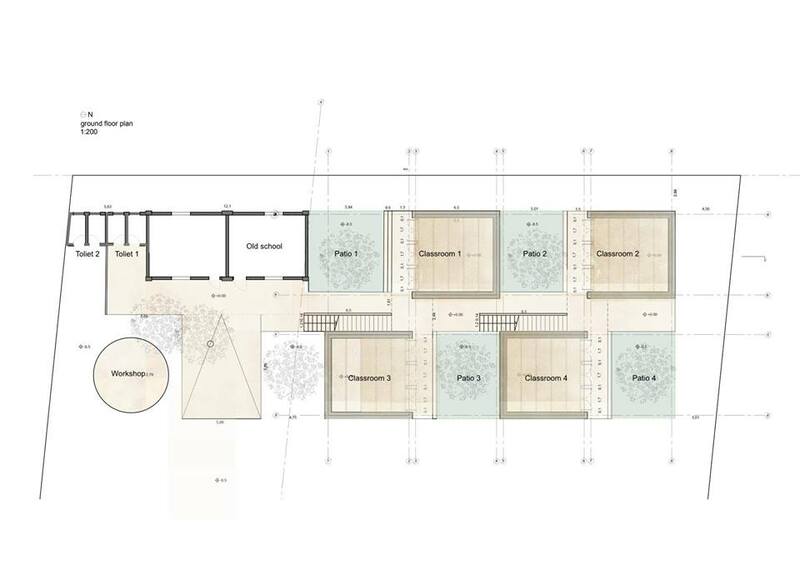 This is what the ongoing construction of Emergency Architecture and Human Right’s second school for refugees in Jordan are trying to achieve. There, training and building with tile-vaulting will be shared with Syrian and Jordanian builders, led by a Spanish tile-vault builder from Valencia, Salvador named Gomis Aviño, and his brother, Jesus. The Gomis Aviño brothers will work with two teams of builders and students of architecture, making sure that eight classrooms will be vaulted before the end of September. Emergency Architecture and Human Rights (EAHR) was founded in 2015, with the aim to work and build for socially vulnerable communities around the globe where their work is “as much a rebuilding of humanity as a building of the architectural structures that house it”. The school in Azraq, Jordan, is part of Emergency Architecture and Human Right’s campaign ‘100 classrooms for refugee children in the MENA region.’ EAHR goal is not to provide only schools but also means and tools to democratise construction with easily transferrable techniques. The schools will also incorporate classrooms, vocational training centres, and women’s and community centres. 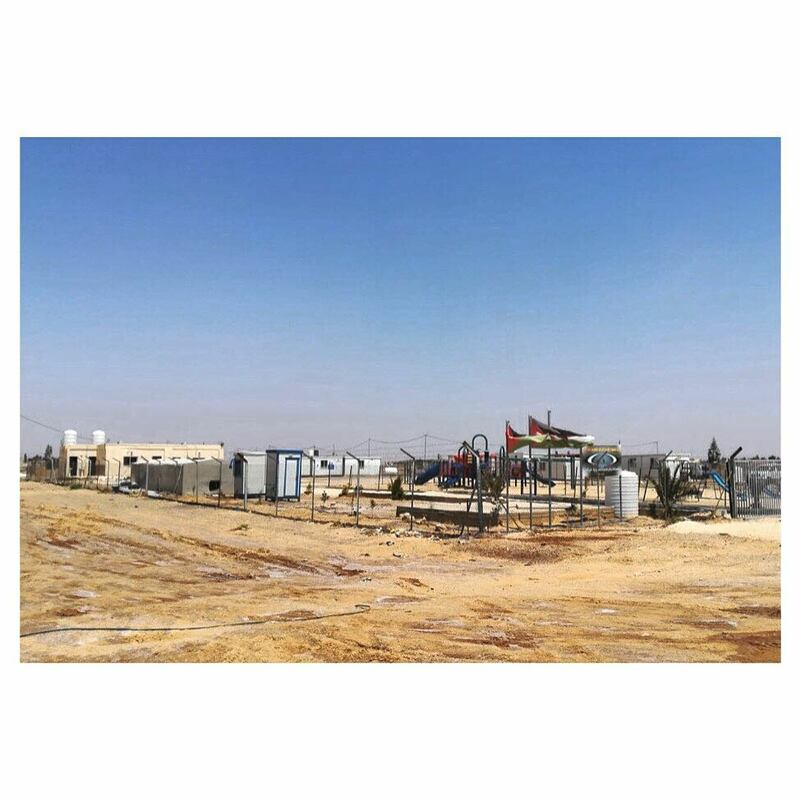 After the first classroom was built near Zaatari Camp in Jordan, this ongoing project is now located near Azraq Camp, where more than eight thousand refugees, among whom 50% are children, are now living. Three out of five refugee children are out of school due to lack of capacity in the existing eight schools in town. EAHR is teaming up with Helping Refugees Jordan (HRJ), The Syria Fund (TSF), and Nashmiyat Al-Badiya to build and run a new school that will serve the needs of more than two hundred out-of-school Syrian refugee children. The school will have four classrooms, one IT room, one literacy/library room, two toilet blocks, and sport facilities. 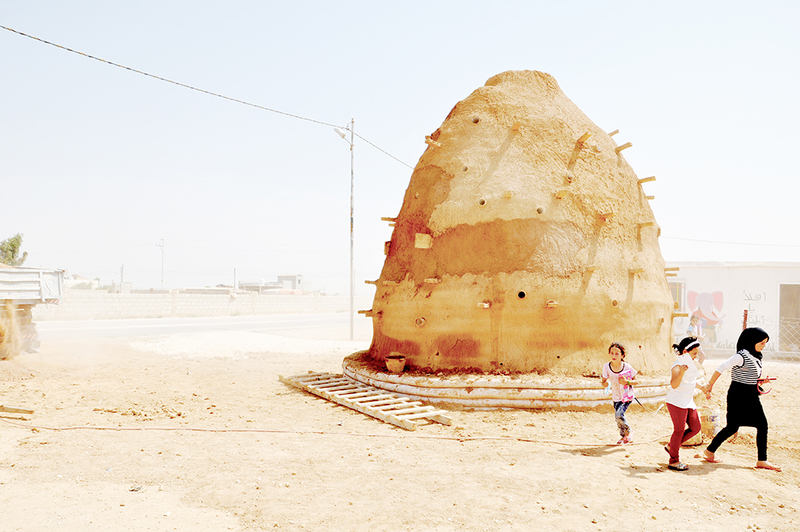 The materials for the project are soil and lava stone, both resourced from the site because they are abundant in Azraq. By using compressed earth block (CEB), the workers are now making the needed blocks and tiles for walls and vaults[i]. The CEB machines were also built by smiths and welders in Jordan and will stay there to be used for yet more classrooms. The construction of the schools is also open for twenty-four participants from around the globe who can sign up for the 1+1=11 workshop. 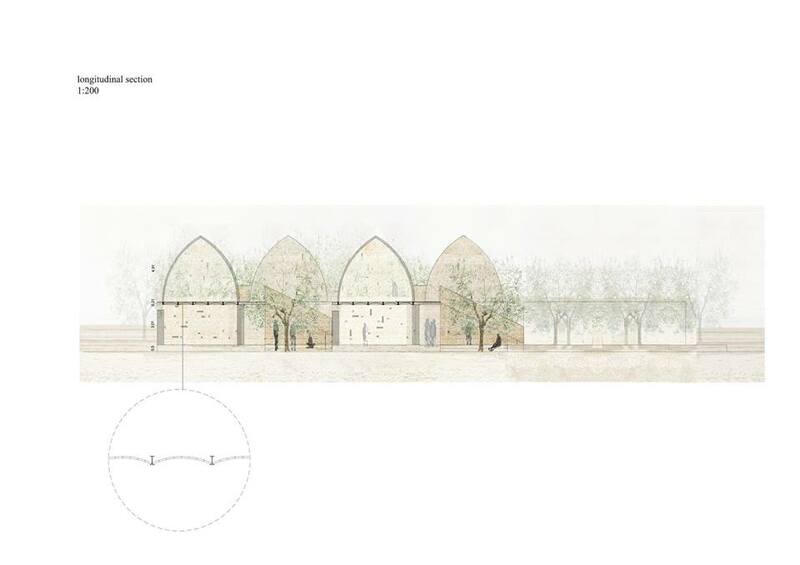 The school of Azraq Camp is a case in which humanitarian architecture is also a way to preserve and develop construction techniques. 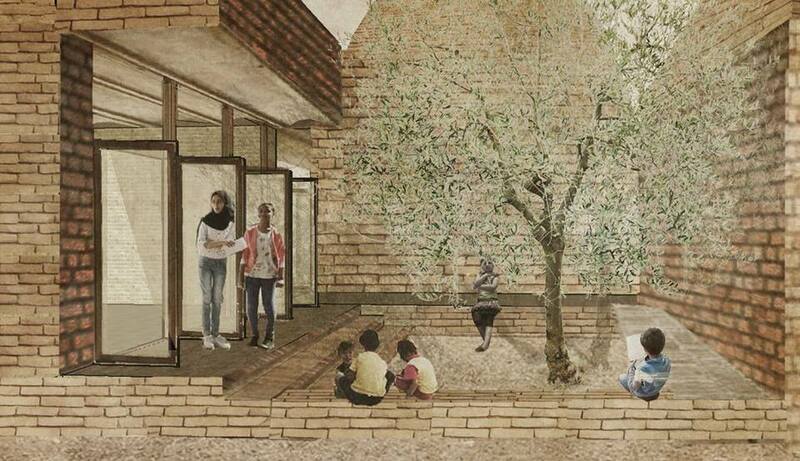 In this project, working with Syrian builders is essential. Regardless of where those builders will be in the future, the training opens a valuable discussion about the role of building crafts and construction methods, not only in restoration of monuments, but also in the rebuilding Syrian neighbourhoods. By partnering with individual builders and subcontractors, we can start a grassroots approach that enhances the accessibility to build and rebuild by providing different techniques, including importing new ones from similar building cultures. We have been importing and exporting materials for decades—it is the time now to import the Gomis Aviño brothers, for a while, instead of steel and cement. Help the project by donating here. [i] Compressed and stabilised earthen tiles were used in two projects in Africa: Mapungubwe Interpretation Centre by Peter Rich and Rwanda Cricket Stadium by Light Earth Design.